Narrative within the shooting genre has often been a difficult task, usually forgotten in turn for some massive fiery explosion or dramatic set piece. Even shooters such as Homefront who relied on their story as a key selling point, eventually fell short of the narrative mark. 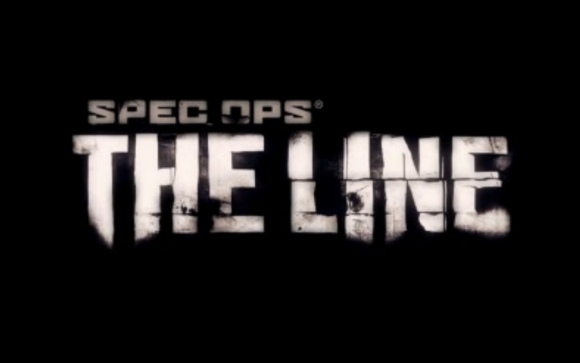 However a new challenger has stepped up to the plate in the name of Spec Ops: The Line developed by Yager Development and published by 2K Games. Inspired by Joseph Conrad's novella Heart of Darkness, Spec Ops tends to have your moral fibres stretched as you enter the war torn city of Dubai. This dark tale intends to fulfil that mature narrative within the shooting genre, but does this narrative deliver? Spec Ops has you take control of a Delta force operative named Captain Martin Walker voiced by Nolan North (Who does an amazing job), with his comrades Lugo and Adams you are sent to the sandstorm ravaged city of Dubai. Colonel John Konrad and the 33rd Battalion were sent to Dubai to evacuate the city 6 months ago, after losing contact everyone assumed he was dead, until a signal is heard confirming that Konrad may still be alive and is in desperate need of help. Your team is sent in with a simple task, find Konrad and the 33rd and get them out of the city. Sounds like your average war story? Well from the moment go Dubai turns out to be a city full of mystery and corruption, for a city that was meant to be abandoned you will be faced with many enemies and have to fight your own personal demons along the way. When they first arrive they are cracking jokes and having fun, watching their personalities slowly deteriorate into a broken shell of their former self is intriguing. Narrative delivered. This dark narrative forces you through some very shocking events during the course of the game; you are also forced to make some choices involving who you can save and how to handle a situation. These choices all come together to form your ending (4 unique endings depending how you play), Yager was able to pull off one of the more mature narratives I have experienced in a shooter. Some scenes hit you head on; one scene in particular had me save a group of innocents or 1 soldier. I choose the innocents but ended up screwing my chance to save them. This in-turn made my sacrifice of the soldier in-vein, not only did he pay the price but so did the innocents. There is no meter telling you how good/bad you are, it is shown through dialogue with your squad mates and these moments actually do find a way to hit home emotionally. Apart from narrative the most important aspect is the gameplay itself, this is where Spec Ops can be frustrating. Cover/healing/sprinting are all dedicated the X button (PS3) and this can cause problems during fire fights, hoping to get into to cover to randomly sprint along cover and leave yourself open to your enemies can be maddening. Vaulting over cover/melee are both dedicated to the O button (PS3), many times I was left attacking cover with a wild melee attack and then experiencing a bullet to the head instead of vaulting as intended, the best word to describe it is clumsy. During gameplay I was constantly wishing they had incorporated a roll technique, to allow a mobile way of avoiding enemies. These problems are noticed more because of the excellent AI, enemies will flank, attack as a pack and find ways to distract you as one throws a grenade, this game proves a great challenge. Dubai is a unique setting, starting you off in the desert and slowly moving you through the city and buildings. Within these environments I was astounded how gorgeous this game looks, the sandy deserts look real, seeing the cities entire skyline is breathtaking and watching Yager slowly incorporate some beautiful water pastel like colours within buildings looks amazing. The Unreal 3 Engine delivers, especially during sandstorms which occur during the campaign for story purposes, but these storms look amazing and the sound that accompanies it create a great sense of desperation. Embarking on the campaign of Spec Ops will take you 7-8 hours depending on skills level and the ability for alternative endings and choices encourages a second adventure. Apart from the campaign Yager has also included a multiplayer component, this includes your standard deathmatch, team deathmatch and a unique mode called Buried. In Buried you must destroy of your enemy's base points, while they try to do the same to yours. This allows for a quite intense back and forth matchup, clearly making it the standout mode. However the clumsy controls can be dealt with in the campaign, facing off against player controlled opponents makes the control problems stand out even more, sadly. Few texture pop-ins occurred during the game and a handful of times audio dropped out during cut scenes, but these never occurred frequently enough to mar the experience. Spec Ops: The Line wanted to test the boundaries of a dark/mature narrative; they did this extremely well, with a coherent and interesting story until the final scene with some very hard hitting moments throughout. Multiplayer provides some unique fun with Buried Mode, but the other modes feel bland even with the addition of sandstorms during matches. This game is gorgeous to look at, with an array of beautiful colours it will continue to impress. However if clunky controls frustrate you, I suggest missing this game, especially if you intended to spill most of your playtime into multiplayer. The Line" is drawn in the sand, will you cross it? Yager leaves you asking questions, mostly questions about yourself and who you are in the process. Darn good review sir! I wasn't sold on this game as I'm a single player gamer generally, but this review has opened my eyes and for that I thank you.